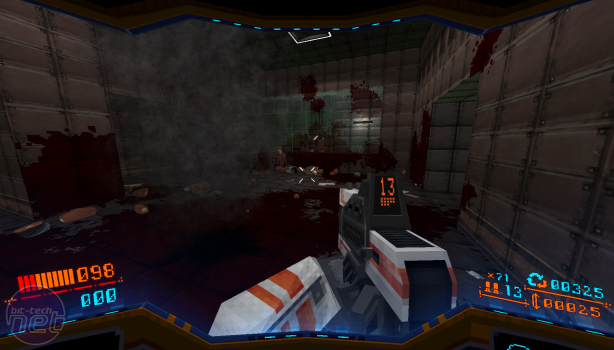 Strafe is relentless, from the time you select your primary weapon and step into the teleporter that kicks off your run to the time you reach the credits, hands shaking after the onslaught. Strafe is a shooter so outrageously in your face that its first patch was mostly centred around making the game a little bit easier, and, while I largely enjoyed the time I spent with Strafe, I'm not sure if it's objectively a good game, just a series of different elements smushed together to evoke nostalgia. It does the job so well that at first you won't even realise the mediocrity, and you'll have a great time. 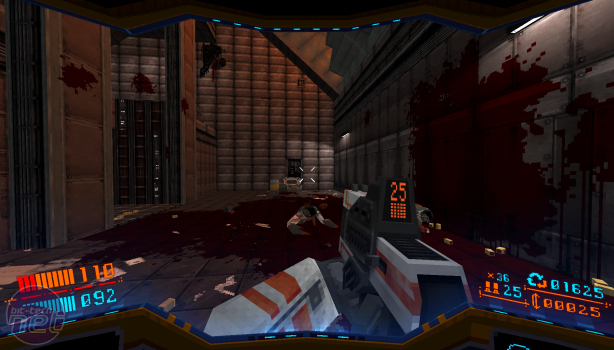 The soundtrack pulses, oscillating between a series of glitchy bleeps and synthesizer wails as enemies charge at you from vents, doorways, and windows, enemies that are eager to hack, slash, shoot, and explode you in a multitude of ways. There's a tutorial, produced like an early 90s self-help video, but you don't really need a how-to guide to let you know that the monsters rushing at you from every direction mean to do you harm and only the judicious application of overwhelming firepower can protect you. 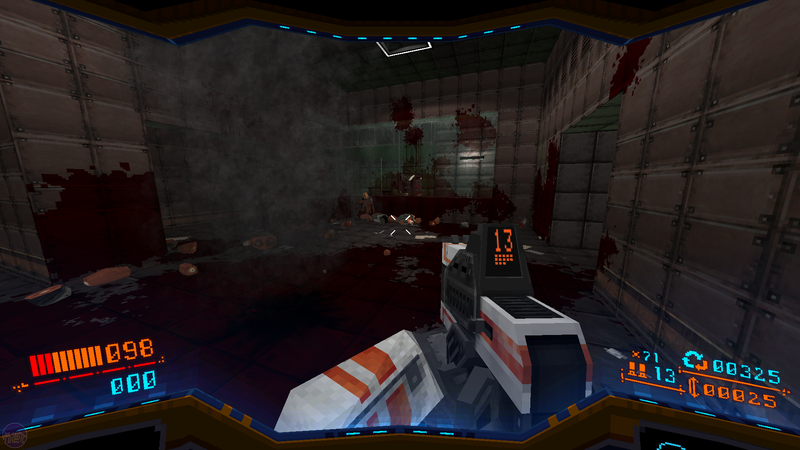 The levels are randomly generated but deeply boring, a space-station full of blocky corridors and jumbled rooms that serve as nothing more than a runway to deliver you to the enemies or to bring them to you. 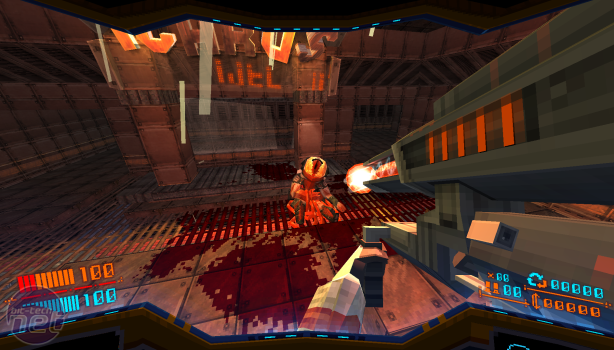 Coming away from Prey's Talos 1, a doomed space-station that feels like a real place, Strafe's efforts are just confusing. 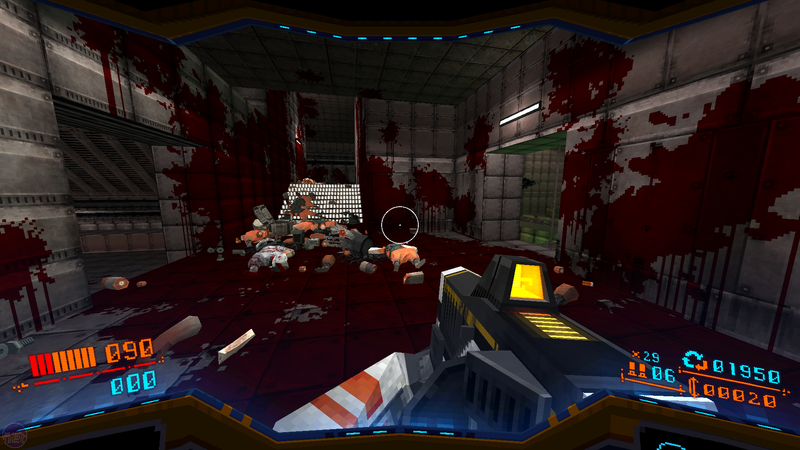 It's no great surprise that Strafe's environmental storytelling and level design isn't as good as Prey's efforts, and you shouldn't judge it too harshly, because it's trying to ape not the big-budget AAA releases but 1993 classic Doom. The inspiration is obvious; wall graffiti literally says 'All Doomed', the message daubed in blood next to a dead marine before you enter a crude recreation of the opening hallway of Doom. It's a nice touch but also a reminder that Doom had more of a sense of character to its levels and monsters, and none of that charm is present here, at least in the early levels. You can blame the levels on the procedural generation, as certain aspects that are handcrafted reappear time after time and evoke a certain something missing elsewhere, but it's a problem with the genre, with other first-person roguelikes struggling with similar problems. The monster design is unforgivable, though, mediocre at best. You'll fight spacemen with guns, mutants with long blades, mutants with long blades wearing a slightly different clothes, robots, and some other fairly dull science-fiction tropes. Later, as you venture to different worlds that I’ll endeavour not to spoil here, there are more interesting situations, but the blocky design and boring enemies persist. The combat could be the game's saving grace. At the start of each run, you're asked to choose between a shotgun, submachine gun, or a railgun. This will be your primary weapon for the run, with all upgrades you collect improving your gun. 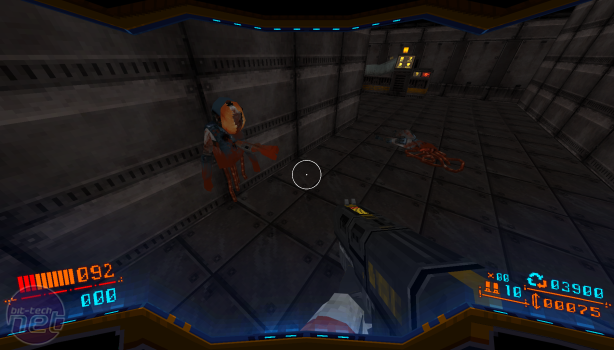 You'll pick up other weapons: rocket launchers, handguns, a disc launcher pinched knowingly from Tribes. You keep these weapons until they go click before discarding them and returning to your primary. These weapons are fun and fairly common, and the fact you have to ditch them when you're done encourages you to cut loose with them whenever you get the choice. Rainbow Six Siege: What Can We Expect from Year Two? What's next for 2015's best first person shooter? We go to Montreal to find out.